Are you one of the many involved in Atlanta's thriving homeschool community? If so, we are excited to announce a program designed just for you! 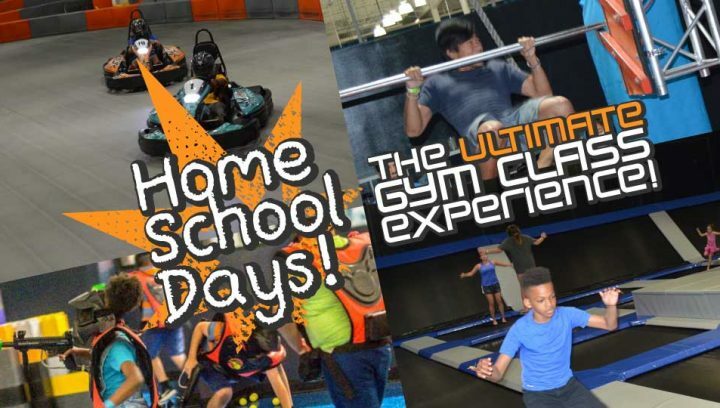 This is a great time to meet other homeschooling families in the area and enjoy the ULTIMATE GYM CLASS EXPERIENCE! Stacks Corner will also be open so you can enjoy lunch with your family and friends. Experience all the fun that Nitro Zone has to offer at an extremely discounted price!